Caring, Fun & Informative Spiritual readings! Confide in someone who truly cares about your well-being & genuinely enjoys what they do! I’ve been told by many of my clients that a session with me is just like chatting with an long time friend! ?? Wise spirit genuinely helped me today! Very uplifting and insightful and I totally felt a connection! I felt like I was chatting with a long time friend with great wisdom and insight! I will definitely be back and would highly recommend Wise Spirit without reservation! :-) xoxoxo :-D ?????????? ?????? There are times in our lives when we need some extra guidance, clarity & direction. Unfortunately, life doesn't always provide us the answers we need in black & white. At times it is in that gray area that we seek someone to help clarify the meaning of what our soul is trying to show us. No Gimmicks! No Tools! No Fluff ~ BRIGHT BLESSINGS! I look forward to Chatting with YOU ~ Talk to me now and get the answers you need Today! I have spent over 20 years providing Essential, Caring & Warm in-depth Spiritual readings with only the highest level of client service & a good dose of sistah girl sass. I look forward to assisting folks with my many gifts whenever I can. I have read for wonderful clients from all around the world and have even earned the trust of a few A- list celebrity clientele...shhhh! My reputation for being detailed, accurate, straight-forward and FUN are evident in my excellent client reviews. Do not waste your time & money with someone who will charge you plenty to give you the same (or of lesser) quality counseling, when I offer my services at a fraction of their costs. This is your opportunity to peak behind the veil. Enjoy! WiseSpirit has been a user of Keen since 2009. 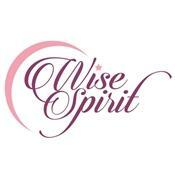 Getting Spiritual Readings advice from WiseSpirit through www.keen.com is safe, secure and confidential.